During a career spanning 50 years as an independent design consultant, Specht has executed with distinction numerous major design and development assignments for a broad spectrum of worldwide clients. Functioning in the dual roles of both senior designer and administrator, he has been involved with a wide variety of design activities embracing product planning and strategy, product design, technical development, packaging, production implementation, research, and general design counsel to industry and governments. Specht has received numerous awards for outstanding design innovation and engineering excellence and has been granted over 50 utility and design patents in widely differing fields ranging from microsurgery to heavy industrial equipment. He completed an Army Specialized Training Program in 1942-1943 and served in World War II with the 14th Armored Division in the European Theater of Operations 1943-1945. He graduated from the School of the Art Institute of Chicago in 1950 and established his own office, PBS Design, in Chicago, from 1949 to 1952. He worked with Russel Wright Associates in New York City as a staff designer from 1952 until 1953, when he joined Dave Chapman Inc. in Chicago as executive vice-president. In 1970 he was named as president and partner in the firm as it became known as Goldsmith Yamasaki Specht, Inc. (GYS), a position he held until 1996, when he became the last remaining original partner. In 1997, GYS was purchased by Sundberg-Ferar, and in 1998, Specht established and became principal of PBSDESIGN, INC in Wilmette, Ill., and served as senior design counsel for Sundberg-Ferar until 2000. 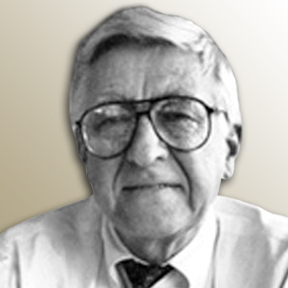 An active member of IDSA and its predecessors since 1953, Specht served as Chicago Chapter Chair from 1960-1962 and 1968-1970; national executive vice president from 1979-1980; and national director at large from 1980 to 1981. He was awarded IDSA Fellowship in 1975. He was president of the National Council of Design Organizations from 1980-1982, and a Grant Review Panelist for the National Endowment of the Arts in 1974, 1978, 1980, and 1989. In 1987 he was Design Advisor, UN Economic Development Program for India. He is also a pilot member of the Experimental Aircraft Association. His teaching activities include that of design lecturer at the Illinois Institute of Technology 1968-1969; adjunct professor, University of Chicago, School of Business, design Management from 1981 to 1995; and adjunct professor, Northwestern University, McCormick School of Engineering, Engineering Design Communication from 1999 to the present.